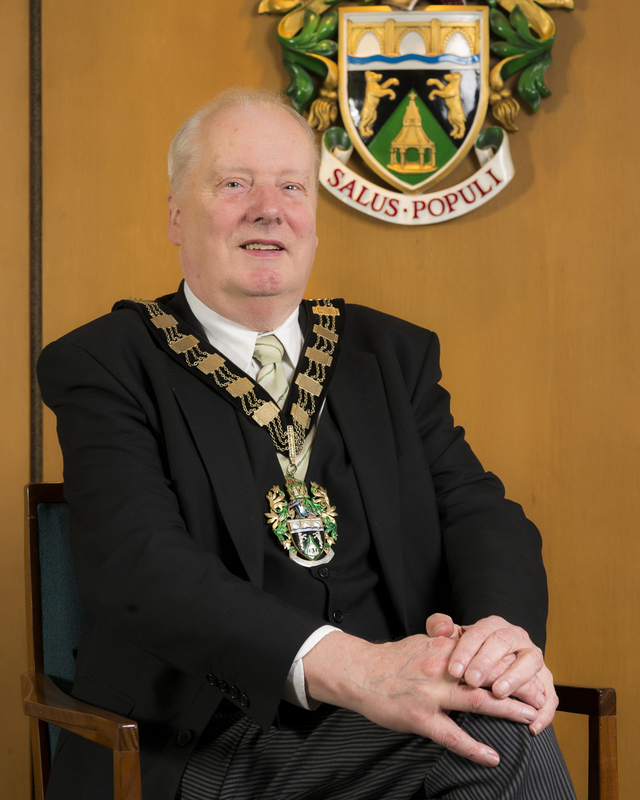 Having worked with Rushcliffe Borough Council photographing various events and functions over the last few years I was delighted when they asked me to take the current Mayor’s official civic portrait to hang in the Council Chamber. 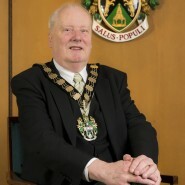 To be hung alongside around 40 previous Mayoral portraits dating back to the early 1970’s my portrait needed to match the style and presentation of the existing portraits and be shot in a timely and convenient manner for the Mayor. 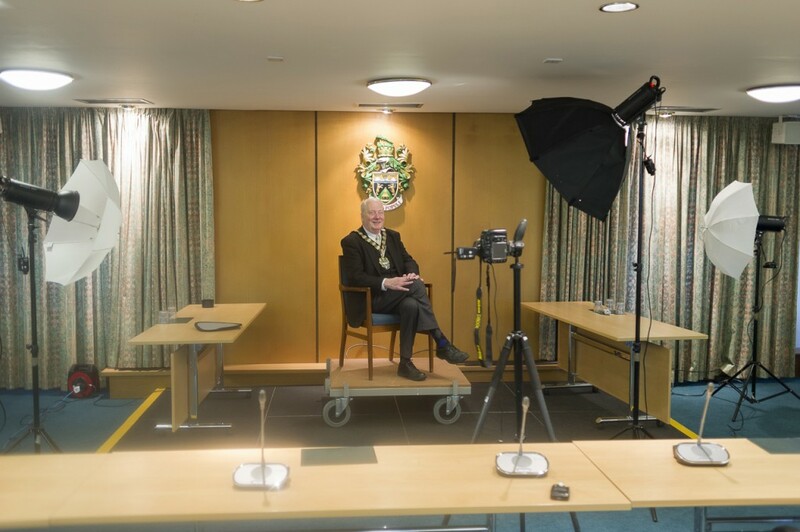 That’s was no problem as I could easily take along my portable studio light set up so we could capture the Mayor in the Council Chamber just before a Council meeting adopting the traditional pose and including the Rushcliffe Crest of Arms on the wall. 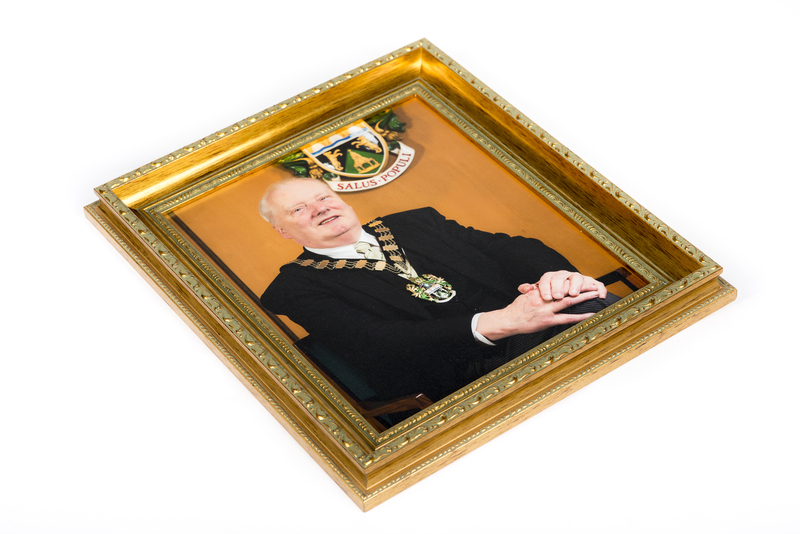 The framing was matched up for me by the good guys at Maple Framing and the print was heat sealed into the frame with a laminate finish to ensure durability – hopefully it’ll be hanging there for another 40 years! 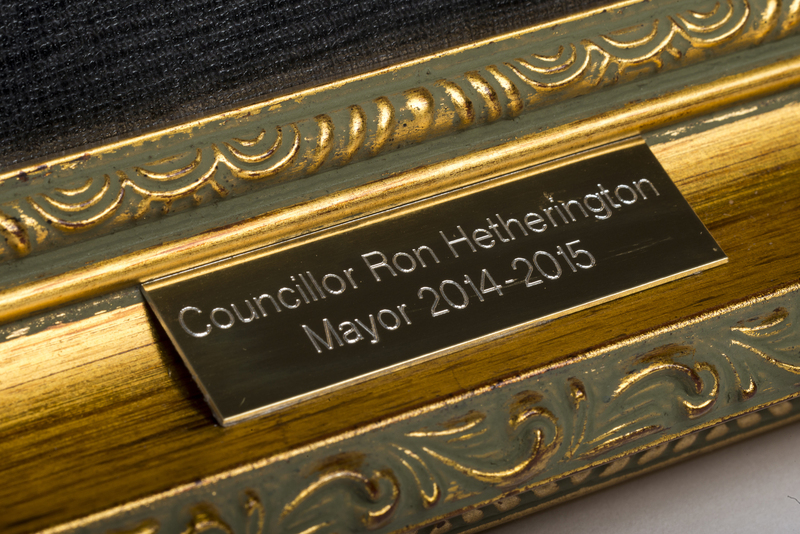 The engraved plate was provided by Trophy Master and i lo forward to seeing the finished article hanging in the Chamber on my next visit.